We made it to the store and I parked. engine rumbling like a hungover dragon. primal tremors of awe and wonder. “I never change,” he said with a nuclear smile. his skull still roaring with pink fire. all terrible lightning and wind. eyes like rubies in pie pans of asphalt. Alma walked out of the house. She looked like a Mexican Bettie Page. She leaned on the door of the Monte Carlo. She had RAGE and FURY tattooed on her knuckles. each one bore a mystic rune. and let the blue door slam. he said as he winked. I looked down at the card. It was a hologram with flaming letters. Do what thou wilt, it’s the law. 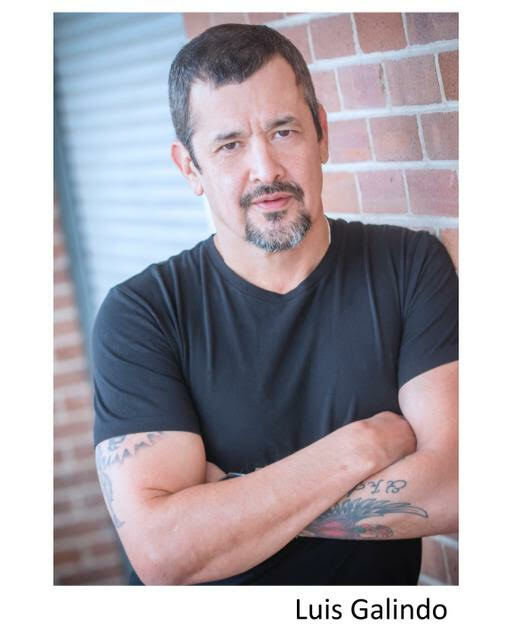 LUIS GALINDO is a teaching artist for the Alley Theatre in Houston, Texas teaching poetry and Shakespeare to local schoolchildren and young men in juvenile corrections.He also works as a professional theatre actor and Anime voice over artist. He’s been everything from a Texas pipeliner and offshore oil rig worker to a NYC bartender. Luis is the author of two collections of poetry and prose: Electric Rats in a Neon Gutter and the upcoming From Juarez to Damascus. He believes in alchemy, rock and roll and the power of the word. He received an MFA in classical theatre performance from the university of Delaware Professional Theatre Training Program.